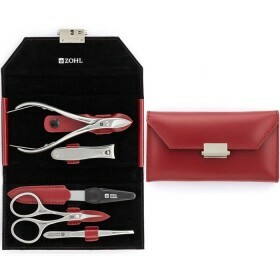 If your manicure involves very fine cuticle scissors, then super slim Solingen scissors SHARPtec by ZOHL will no doubt become your favourite pair. 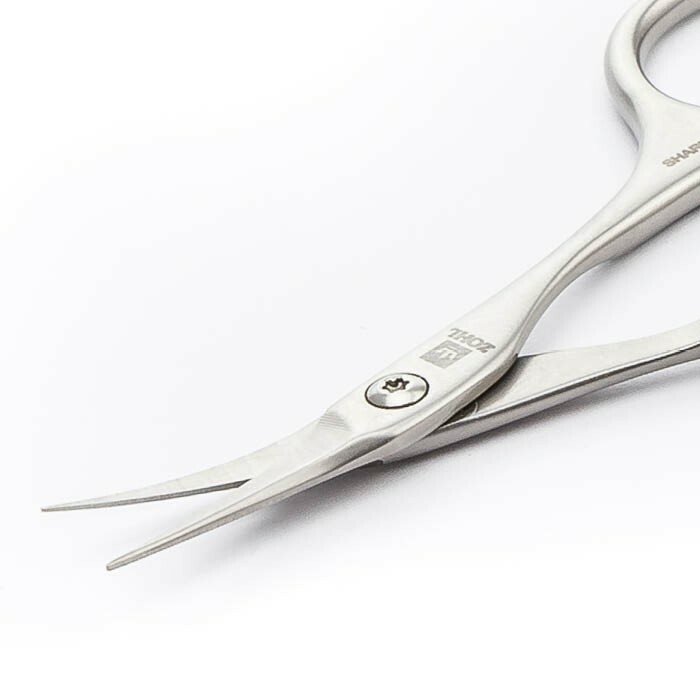 Crafted by hand from surgical stainless steel, these German cuticle scissors delight with perfectly sharp, needle-like blades. Not only they cut beautifully, they also retain the edge for a very long time without any need of re-sharpening. 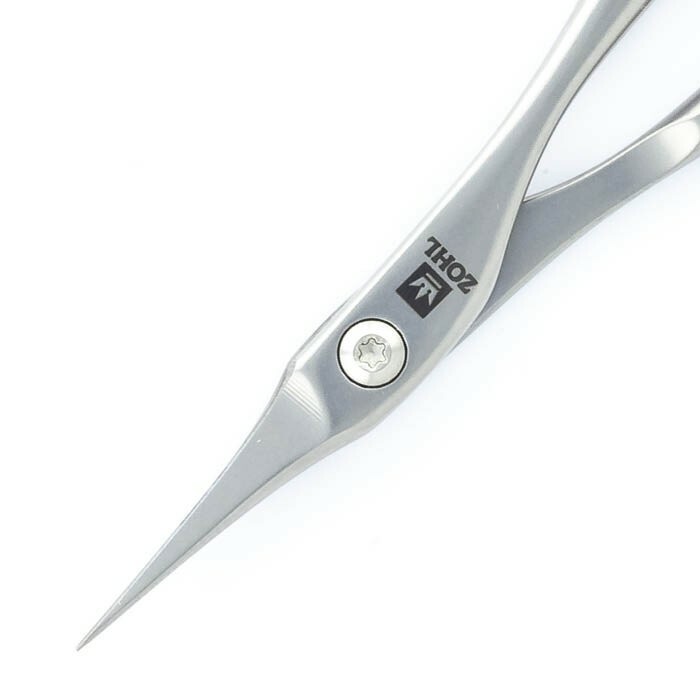 Designed with curved edges and large grips, these professional cuticle scissors suit people with larger hands and easily follow the natural shape of your nail bed. 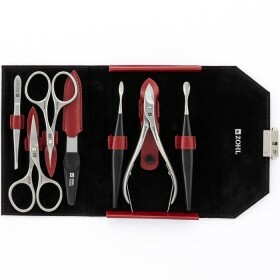 Ideal for cuticle & hangnail trimming, and fully sterilisable. Made in Solingen (Germany). 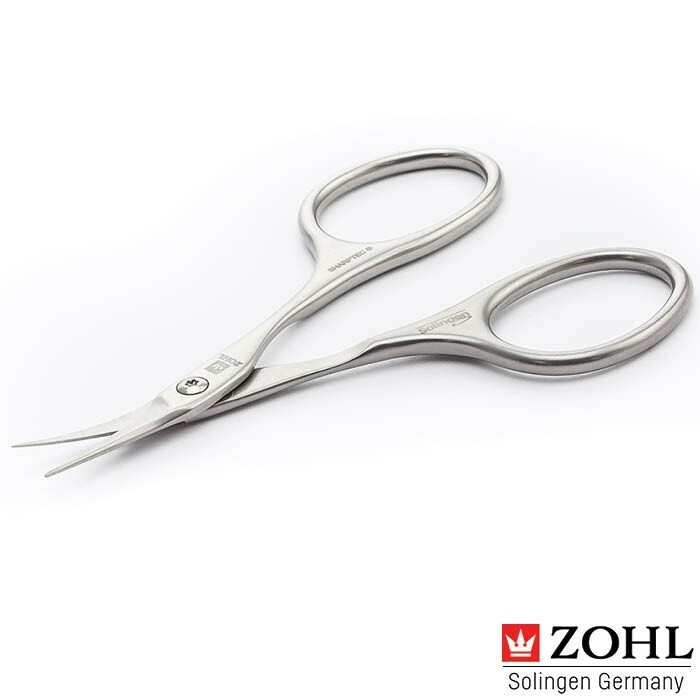 Among the highest quality cuticle scissors, Solingen very thin scissors SHARPtec by ZOHL hold a special place. 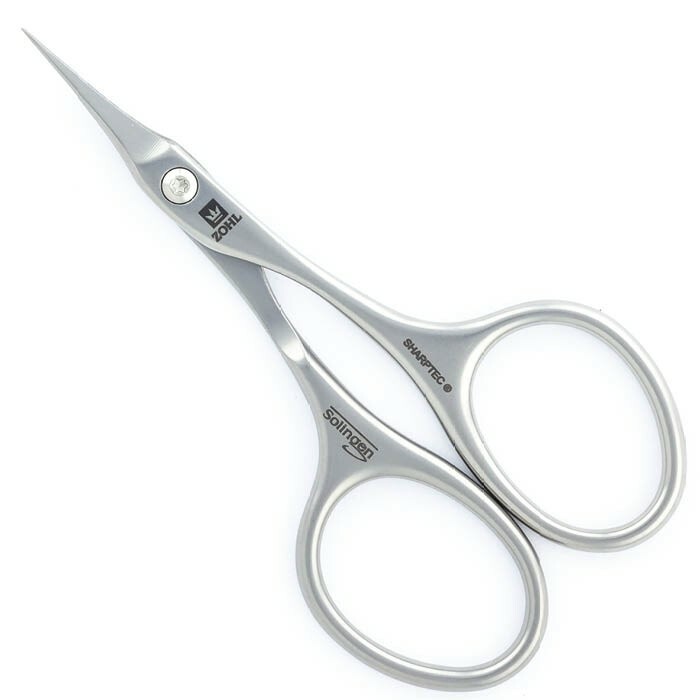 They are a smart investment for those who want reliable German quality for the manicured look of their hands and do not want to buy poorly made scissors that need to be replaced again and again. Authentic Solingen craftsmanship. Being original Solingen scissors, their quality is strictly controlled and protected by the German Government. 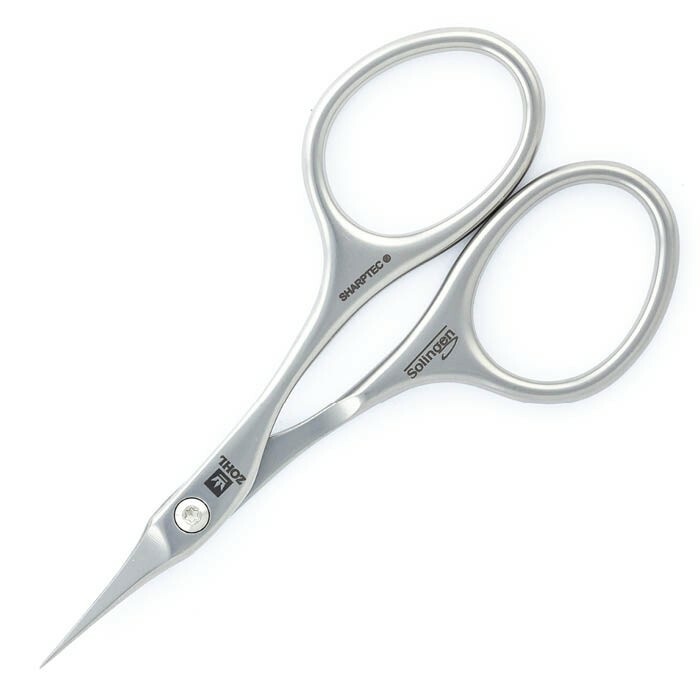 This means the scissors are made to perform and trim cuticles as a good pair of scissors should. Long lasting durability. The scissors are made of specially hardened surgical stainless steel traditionally used in surgical instruments where excellent cutting ability is a must. This means the scissors are super sharp and precise, and moreover, will stay sharp for many years without service. Special features: Slightly curved super fine blades. Manually adjusted Torx screw. Noble matte finish. Length 9cm. 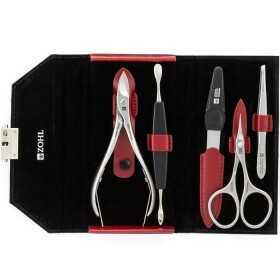 To ensure great service, use the scissors for cutting cuticles only. Not suitable for nail cutting.